Fabulous & nearly new home by Platinum Homes, styled and designed with upgrades galore. 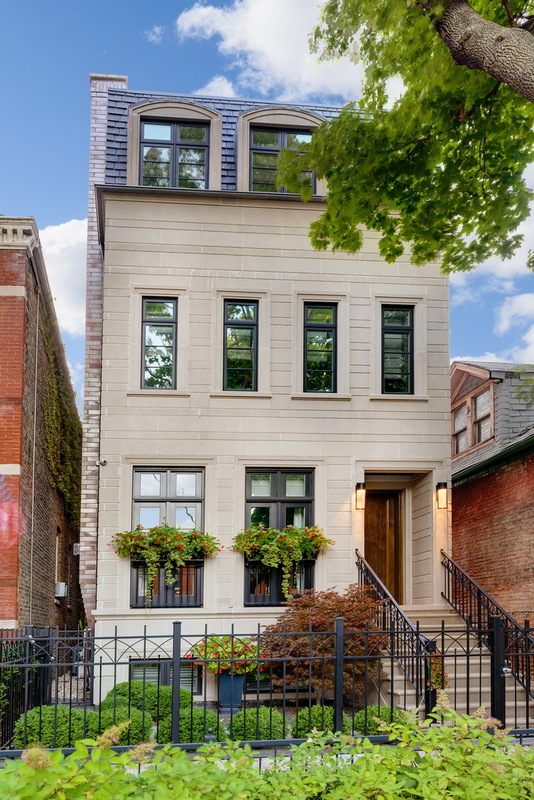 Located on one of the finest one way streets in Lincoln Park, this home offers a great floorplan and designer selections throughout. Amazing chefs kitchen & butler pantry with beautiful white millwork, oversized island, and wonderful light throughout. Great outdoor space includes a backyard space with fireplace and built in kitchen, garage roofdeck & fireplace, plus a huge rooftop terrace with with great open views, third outdoor fireplace plus wiring for TV. Four ensuite bedrooms on upper levels plus a fabulous penthouse den with wet bar. The luxurious master suite with spa bath has a separate tub/shower, dual sinks plus vanity and dual walk in closets. The lower level has a fabulous recreation/media room with wet bar and gorgeous custom wine storage, office with beautiful built-ins, and a guest bedroom/bath. Heated steps & rear patio. Steps from Oscar Mayer School and DePaul!